Nowadays; the public is searching for the latest use of technology. To eradicate this problem, Freedompop Supernova 655 is a right solution for people. 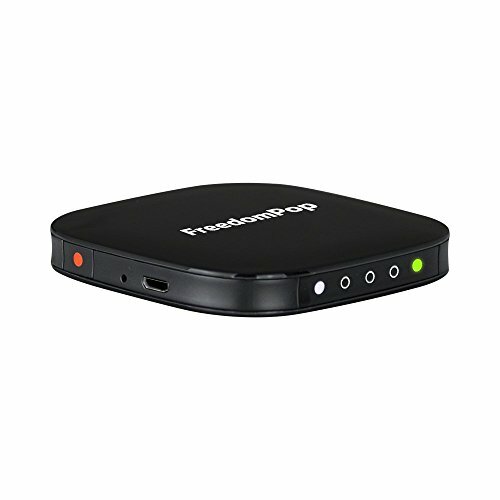 After the huge competition of Freedompop Novatel MiFi 500 Black, they manufacture a new model & that is Freedompop Supernova. Within a short period, the mobile hotspot device becomes most popular of the world’s largest marketplace. Here, I am going to present you a bundle of positive and negative information about the Freedompop. I believe it will help you to find out the device is really useful or not? And it will also back worth your pocket money. – At a time the Freedompop Supernova hotstop can supports up to 10 devices. – The device can work both in Sprint’s 3G & 4G network. – Battery life lasts up to 5 hours, 46 minutes. – Network range maintains up to 75 feets. – It provides the best possible coverage of three bands of the carrier’s LTE networks- 800, 1900 & 2500 MHz. – The hotspot device operates on the 2.4GHz band. Before we saw in Clear Spot Voyager review it was supported only 4G network and here the Freedompop Supernova smoothly work with 3G & 4G both network technology. So it is definitely better than Clear Spot Voyager hotspot devices. User continuously stays the internet with 3G network and if anywhere 4G network available it will automatically change the duration into 4G LTE network. The new Freedompop Supernova coverages up to 10 devices which are very beneficial for users. If you see, supporting 10 devices. So, from this side, it is very advanced & profitable. The Skyroam solids wifi hotspot device work around 50 feets network range and the FreedomPop maintain network range up to 75 feets. The Skyroam solids price at Amazon $149.99 but the freedomPop only $54.00. So it is not a cheap mobile hotspot device? As a hotspot setup review write we already use the Freedompop Supernova 4G LTE device and I got battery life lasts up to 5 hours 46 minutes in Videos streaming. On another hand, we used the hotspot device on 3G HSPA+ network and the battery life lasts up to 9 hours. If you want more battery life we recommended you to read Hootoo Wireless travel router review and buying guide. It will provide you up to 24 hours battery backup for the Freedompop Supernova. To be honest; The Freedompop Supernova will definitely back worth of little investment. We highly recommend you to make your order today at Free Shipping at Amazon.